I will admit, I’m overly fond of gingerbread. Not just the yummy cookies or cake-like bread, but detail, detail, detail. I’d been drooling over the molding below for YEARS (ever since my husband started work on our library; whose development I think I’ll blog if I ever finish the office saga!) and with my office, I had an excuse to buy it! 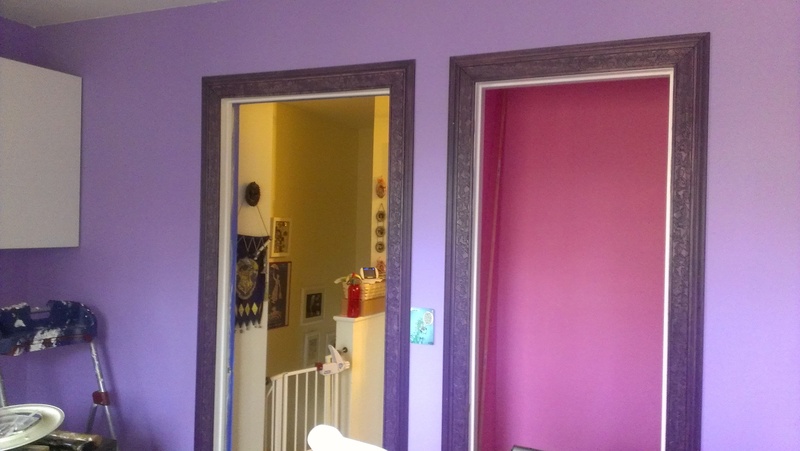 I never stained wood in my life until my husband re-did our dining room. There’s something very soothing about it: you spread the stain on thick with a foam brush, then take a rag and wipe all the excess off. 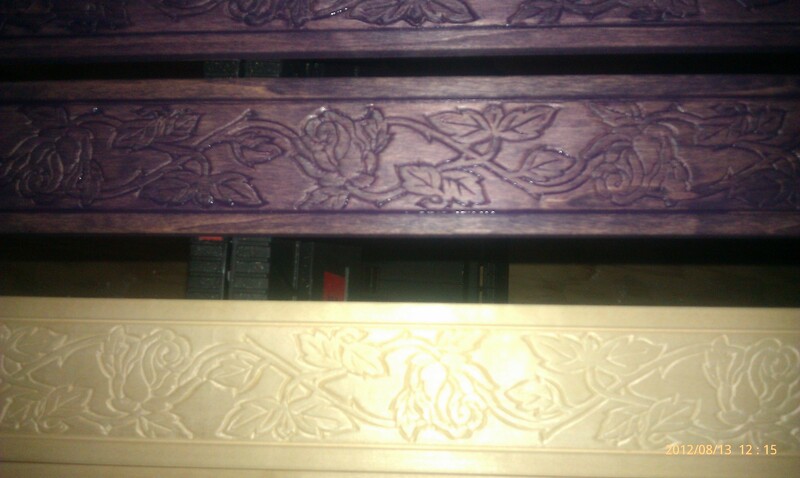 I believe I did two coats of these and was glad I did, as the second coat really made the carving pop. I’d like to take a moment to interject how LONG this project took. 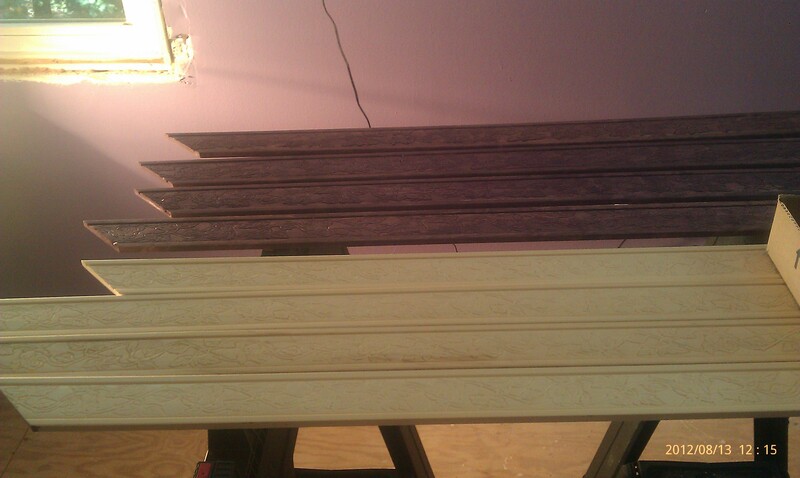 The pictures of the stained wood are from August 13, 2012. 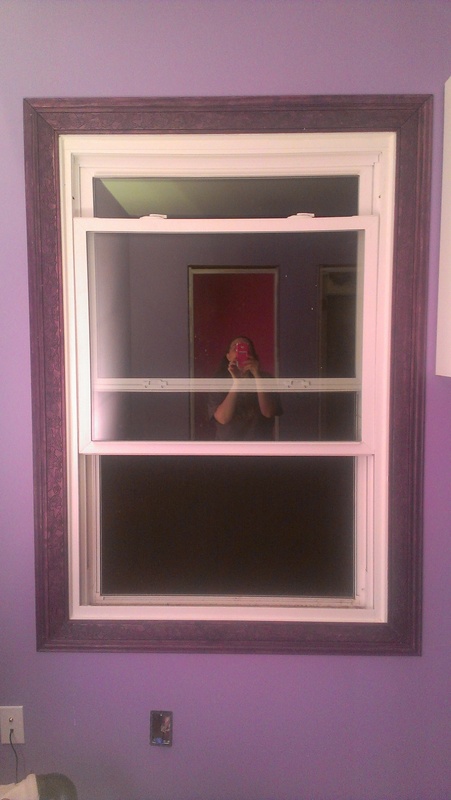 The pictures of the molding on the window was October 27, 2012. Office perfection does not happen overnight! I love it! The only problem is, I like LOOKING at the window molding so much I haven’t had the heart to put up any curtains, and it’s a year and a half later!